The Feb. 23 training is being postponed. Stay tuned for a new date. If you have questions, please email us at info@njcts.org. 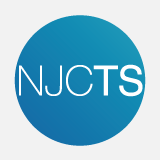 The NJCTS Youth Advocate Program trains teens to lead presentations to students and community groups about Tourette Syndrome and associated disorders. Youth Advocates are 13- to 18-years-old and either have a diagnosis of TS or live with a sibling or family member with TS. These presentations reach thousands of youth in schools throughout New Jersey, are age-appropriate and tailored to fit the needs of the group, provide a strong anti-bullying message, and promote acceptance. NJCTS Youth Advocates have conducted more than 250 presentations, raising awareness and increasing sensitivity and understanding of this often-misunderstood disorder.